Yep I make my own. Why? 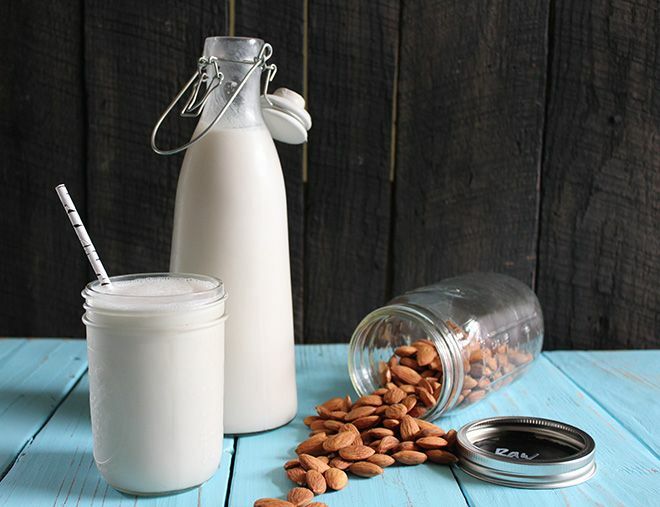 Almond milk has had a big spike in popularity recently. We now see it on supermarket shelves rather than just in health food stores. And it is a great non-dairy milk alternative. Now, I have no intention of trying to convince you that almond milk is superior to all other milks…this isn’t the case at all. I want to offer an alternative for those of you wanting or needing to avoid dairy. Today is all about sharing and inspiring. Home made almond milk is very easy and relatively fuss free. I’m always wondering what are all the other ingredients in store bought almond milk…? and, as I mentioned….it’s easy peasy! And it is easy. Here’s what I do. 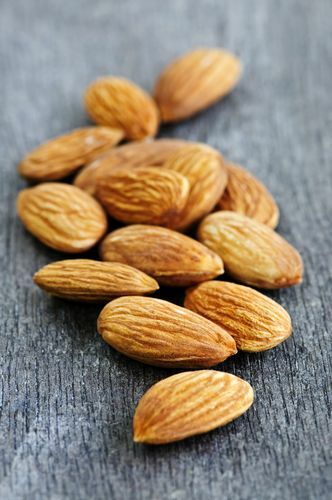 Pop about a cup and a half of raw almonds into a bowl cover with water, pop a lid on and leave over night (or about 6 hours minimum) in the fridge. After the nuts have soaked I drain and give them a quick rinse. Then into my blender & I add 2 and a half cups of fresh water. Then I whizz them up for about 2 minutes. I’ve found the longer you blend them the creamier the almond milk will be and the more ‘milky’ consistency you’ll get. Once the almond and water mix is looking milky and creamy pour it into you cloth and sieve combo. Now you can put it aside for an hour or so and let gravity do its thing. Or, if you’re impatient like me, use a spoon to push the almond pulp around and encourage the liquid though. Then once it’s looking pretty dry you can ball up the cloth and squeeze out the last bits of liquid (careful not to tear the cloth and end up with an almond explosion…it’s happened…messy). Now you have lovely almond milk in your bowl, which you can transfer to a bottle/jar/tupperware to keep in the fridge. It will last about 4 days (give or take) it’s a bit like milk in that sense, you’ll know if it’s no good. Let thy nose be your guide! Some separation is totally normal too, just give it a little shake prior to use. Use it like you would normal milk! Also the same process can be applied to any nuts, and you can have delicious nut milks in a variety of flavors. What about all this left over almond mush..?? Hate waste? Me too 🙂 Well…..stay tuned Spunkies! I have started to make coconut milk also 🙂 Will never go back to canned again. Let me know if you want the recipe…its simple.